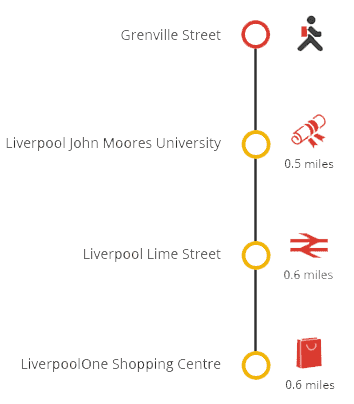 By choosing to live at Grenville Street student accommodation, you’ll have everything you need right on your doorstep including LJMU, LIPA and Liverpool city centre just a few minutes’ walk away. Grenville Street offers luxury double en-suite student rooms and studios, with all-inclusive bills and free 50mb WiFi. We have a common room and on-site laundry facilities, as well as 24 hour maintenance and security support should you need it. We are proud to have recently won Liverpool SU’s ‘Rate Your Landlord’ Halls of Residence Gold Award. We have a limited number of accessible studios and en-suite bedrooms available. Contact us to find out more. **The 42 week contract applies to LJMU referred first year students only. 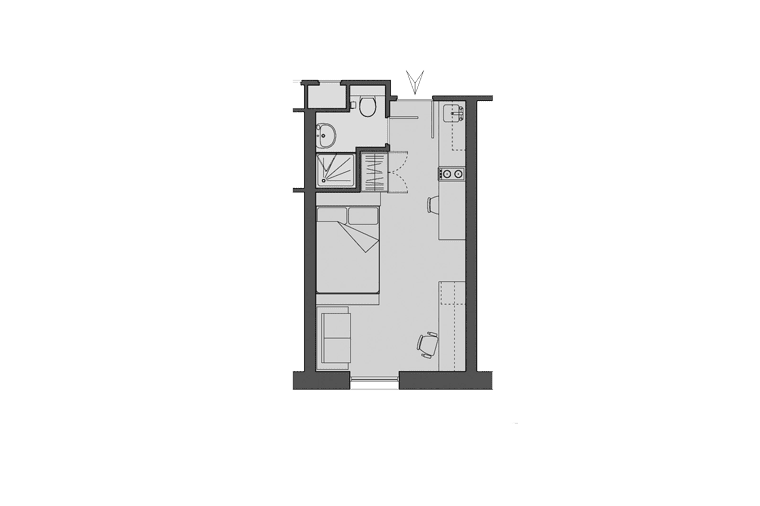 Studio flats are self-contained offering extra privacy with your own study space, en-suite bathroom and kitchen/lounge area. Centrally located for both Liverpool and Liverpool John Moores University, you will be ideally located for studying, shopping and socialising. For students studying at LJMU's IM Marsh Campus, we are a 5-minute walk from a bus stop which can get you there in just 25 minutes. The accommodation offers students either a personal studio apartment or a luxury apartment shared between four, five or six people. All rooms offer en-suite bathrooms and double beds. If you would like to find out more please call us on 0870 600 4777. Our on site team will be available to answer your calls on week days between 9am and 5pm. This exclusive scheme is already proving popular; so to guarantee your room for next year, book online today! Grenville Street is in a great city centre location within easy reach of Liverpool's major universities, including Liverpool John Moores University, just 15 minutes away, the Liverpool Institute for Performing Arts, which is only a five minute walk away, and the University of Liverpool, which is 25 minutes away. Further afield, you can get to LJMU's IM Marsh Campus by bus in 30 minutes which is located 4 miles outside of the city centre. Grenville Street is just a 10 minute walk from Liverpool's lively city centre, which has a huge range of popular bars, pubs and clubs. The famous Liverpool One Shopping Centre is just 15 minutes away. Grenville Street is also perfect for easy student living, with a Tesco Superstore just 10 minutes away. Bus stops can be reached within three minutes and provide easy access to university campuses and Liverpool sports grounds, as well as the iconic docklands. Liverpool Lime Street Station is just 15 minutes away and provides excellent transport links to Manchester, Birmingham, London and beyond. On move-in day, come and find us at reception at the front of the building. Let us know if you’re running late, we can arrange to leave your keys with a security guard. If not, your keys will be securely stored overnight. Make sure you bring your driving license, passport or other form of photographic ID. If somebody other than yourself will be collecting your keys, we’ll need confirmation of this in writing. There is an underground car park below our student accommodation. You can park here for £4.00 (all day parking) and use it to unload your luggage. Grenville Street now benefits from LaundryView which will make doing your laundry on-site even easier. 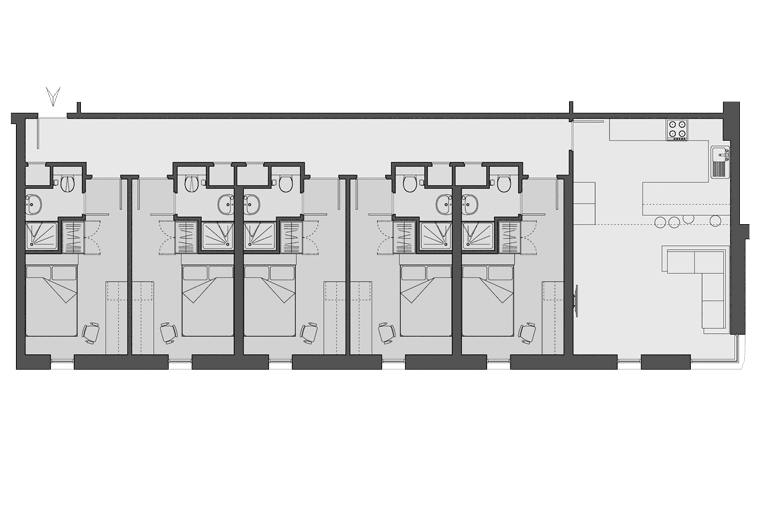 The system, created by Circuit, allows you to go online and check the availability of washers and dryers in your building as well as see when other washes are about to end.